WHEREVER YOU ARE IN CORNWALL, YOU ARE NEVER FAR FROM THE COAST, THOUGH INLAND CAN BE JUST AS BEAUTIFUL, OFFERING SOME OF THE MOST PEACEFUL ESCAPES. STYLE AND COMFORT DONT ALWAYS GO HAND IN HAND SO WHEN YOU STUMBLE ACROSS SOMEWHERE THAT DELIVERS BOTH, SOAK IT UP AND LINGER ON THE FINER DETAILS. BREATHE, ABSORB AND AWAKEN YOUR SENSES TO A NEW KIND OF COUNTRYSIDE LUXE. 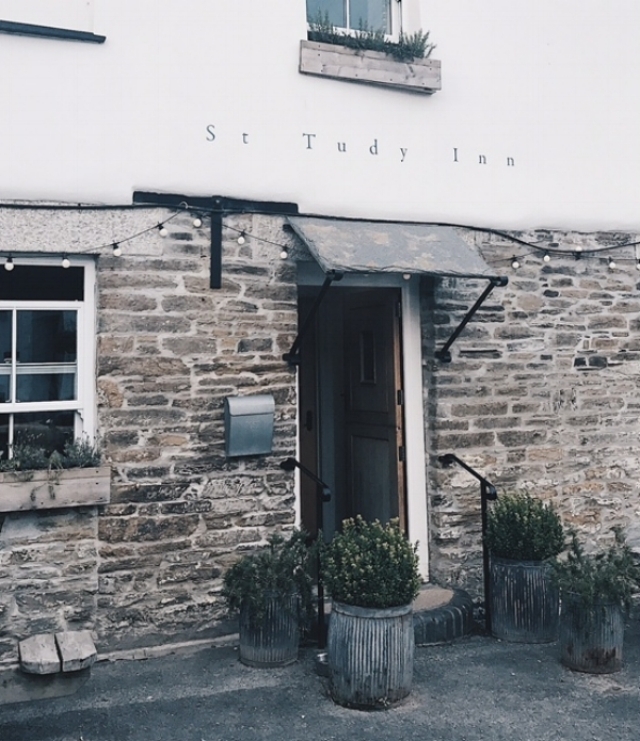 Earlier this month I was asked to review the St Tudy Inn, situated in the charming and picturesque village of St. Tudy, north Cornwall. The beautifully renovated 17th century Inn was rated 39 in the top 50 Gastro-pubs 2017 and possesses outstanding culinary credentials. Cosy, with a stripped back elegance, it combines effortless style with contemporary flavours. The St Tudy Inn was taken over two years ago by the incredibly talented Emily Scott - who also happens to be the head chef - and her charming partner, wine producer Mark Hellyar. It has since been recognised for its outstanding seasonal fare and most recently, the opening of the luxurious rooms, the latest development at the Inn. I hadn’t previously heard of St. Tudy; it is the tiniest of villages and though very pretty, consists of not much more than a beautiful old church, a village store, an abundance of well kept thatches and a couple of pubs. In my eyes however, this only adds to the charm. Situated on the river Camel, approximately five miles northeast of Wadebridge, a half hour drive from Rock and Padstow and in easy reach of Bodmin Moor, the St Tudy Inn reaps the benefits of its inland location, with easy access to the coast, delivering amazing meat, game and seafood. It offers the perfect bolthole for taking in the views whilst strolling through local walks, visiting the coast or embracing the wilderness of the moorland. On arrival I fell in love – with two hounds! Monty, a black lab and Inca, a black cocker spaniel, bounded up to greet me from the roof of the Inn. The resident four-legged pair obviously take their role of meet and greet very seriously. 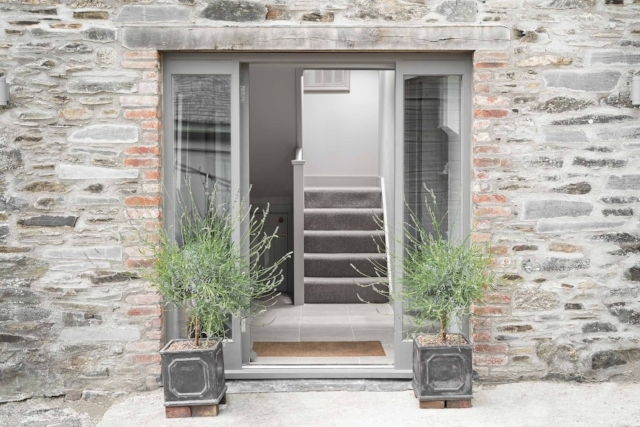 The characterful Inn boasts a relaxed warm welcome, with a pared-back, minimal aesthetic. Farrow & Ball ‘Cornforth White’ and ‘Purbeck Stone’ set the backdrop throughout, complementing the striking and contemporary monochrome prints by Cornish based illustrator and designer, Nicole Heidaripour. I was drawn to some of the more unique features such as the large open, built in fireplace in the restaurant, the bookshelves made out of old wooden crates and the upholstered Beer Keg stools found in the old bar. Flowers at the Inn are cut from the garden and simple glassware, white plates and linen napkins create an ornate simplicity. 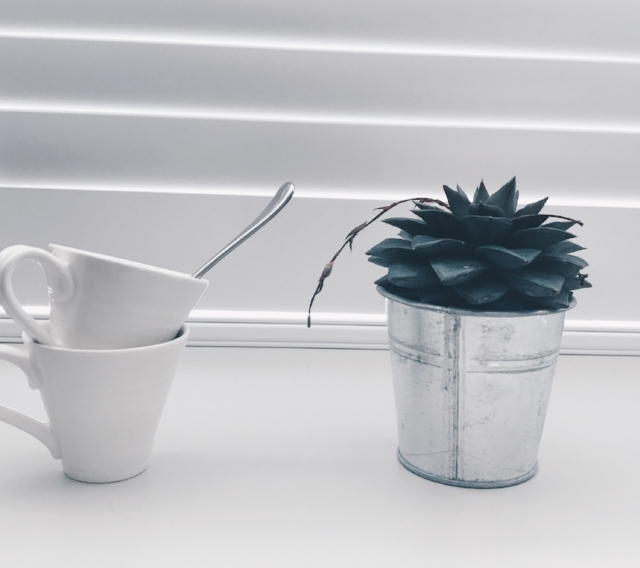 Purposefully mismatched items add character, whilst attention to detail creates a distinctively stylish interior to be soaked up. The inviting communal areas are designed to enjoy rustic cuisine, real Ales and fine wines in a setting that combines period features with modern interiors. The old bar beckons relaxation; here I was happy to sit back and enjoy a home brewed St Tudy Ale, or glass of Chateau Civrac - the contemporary natural wines are handmade in Bordeaux by the Cornishman and co-owner, Mark Hellyar. Thus, the couples Cornish/French connections are very strong. Emily cites a love of bringing people together around a table with good food and wine and this is a finely mastered art at the St Tudy Inn - Low lighting sets the tone for evening dining in the restaurant, where in winter, the open fires adds a homely warmth. A pretty terraced area with sun umbrellas can be found to the rear and perfectly placed picnic benches to the front, offering the ideal place to perch and idly people-watch village life beyond. 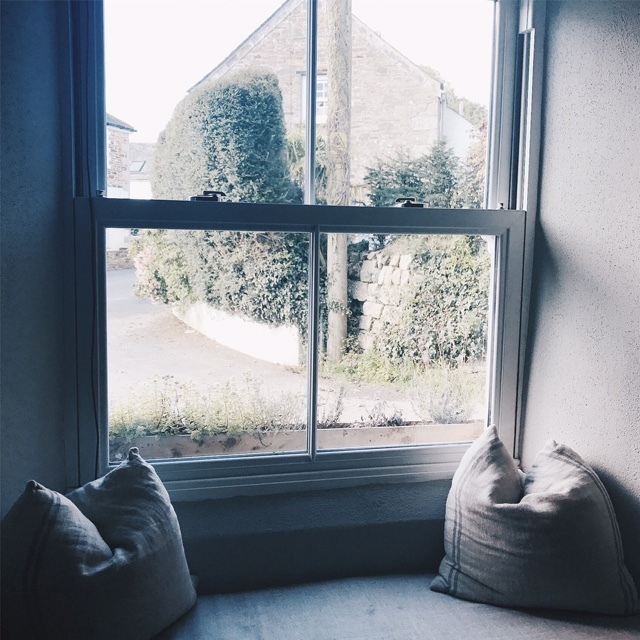 The four beautifully appointed rooms, designed by Emily, have been converted from a derelict barn, adjacent to the Inn, providing a quiet countryside retreat. The style is minimal and elegant, in a wash of grey hues. Pretty succulents and comfy bolster cushions add laidback luxe, whilst the complimentary homemade fudge adds a personal touch. Bathrooms are slate and chrome with natural products by Bramley, packed with essential oils, inspired by the British countryside. I found myself sampling fare from the two equally luxurious areas within the Inn to settle and eat; for a lighter lunch from the bar menu, I enjoyed whiling away the hours by an open fire within the effortlessly stylish surrounds of the old bar. The spacious, light-filled dining room - transforming to a low-lit, more intimate space at dusk - offers a further beautiful space to enjoy Emily's beautifully seasonal plates. The menu is bursting with vibrant dishes, driven by the seasons. However, with simplicity, there is technique; the result an array of beautiful and delicate plates, combining flavours that are built on with ingredients that speak for themselves. Frequent use of edible flowers and micro herbs add an exciting and creative twist to the variety of seafood and game, paired with equally experimental sweets. 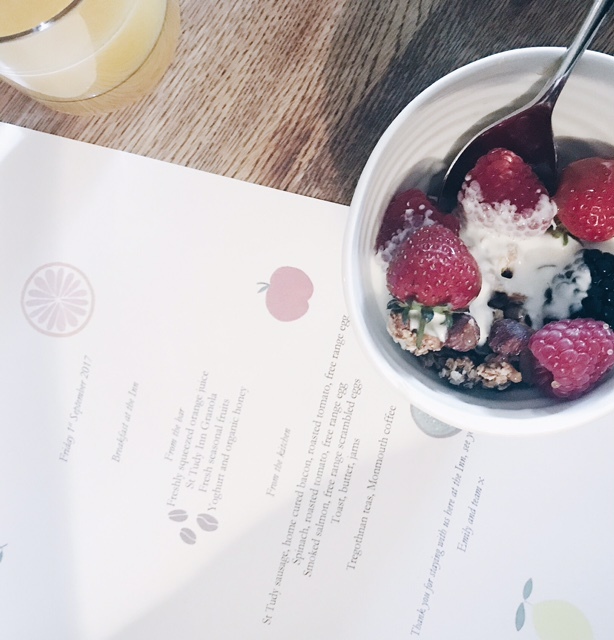 Breakfast at the Inn is also a real treat and set me up for the day ahead; the old bar is laid with a selection of homemade granola, organic yogurt, honey, seasonal fruits, freshly baked bread and homemade jams. From the kitchen, enjoy home cured bacon, St Tudy Inn sausages and local eggs, cooked how you like them. 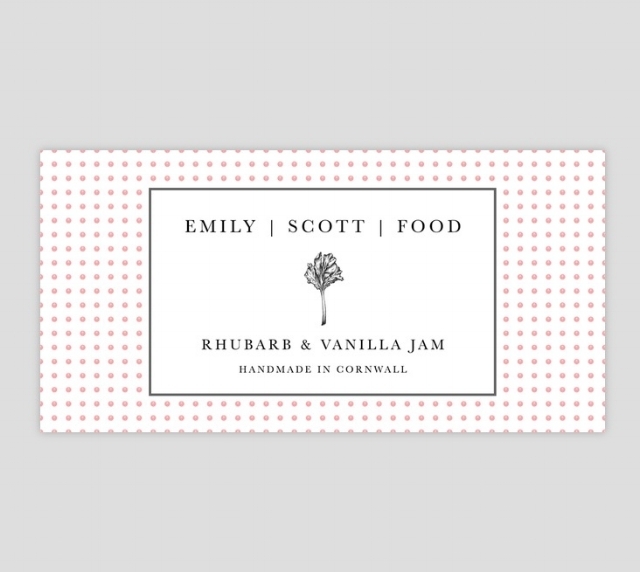 Emily is looking forward to launching the new ‘Emily Scott Food’ jam range in the autumn, featuring popular flavours with a twist on the classic. “My food heaven is to enjoy different produce in season; peaches, freshly-picked strawberries and in autumn – blackberries and apples. I also love to eat a crab sandwich by the sea," says Emily. I am not sure I could choose what my last meal on earth would be, there are simply far too many tastes and dishes I love. I do, however, share the need to associate foods and flavours with places. On the coast I always want fish & chips, in the countryside, I like fresh hearty produce or a healthy seasonal salad. In California I had a desire for bacon maple syrup, bagels and waffles, oh and ice-cream! At St Tudy Inn, I could have happily sampled everything. I chose seasonal scallops, cooked in tyme and garlic with peashoots followed by sea bream with cavolo nero, cockles and cream sauce. My pudding of choice was a chargrilled peach doused in a generous amount of organic honey, toasted almonds, natural yogurt and edible flowers. Food excites me.. can you tell? I drank mainly rosé and fizz and possibly sampled a cocktail or two.. I like Emily and Mark a lot, their ethos towards what they do - combined with their desire to create with wholesome ingredients and an organic process, whether it be food, wine or decor - was immensely inspiring. Also in Emily’s words ‘There is always time for cake’. I couldn’t agree more – if there isn’t, something is not quite right. A girl after my own heart for sure! 'Eat Well, Sleep Well' is the tag line of the St Tudy Inn and I happily did just that. St Tudy, I hope to visit you again and if there is a room free at the Inn, it has my name on it.